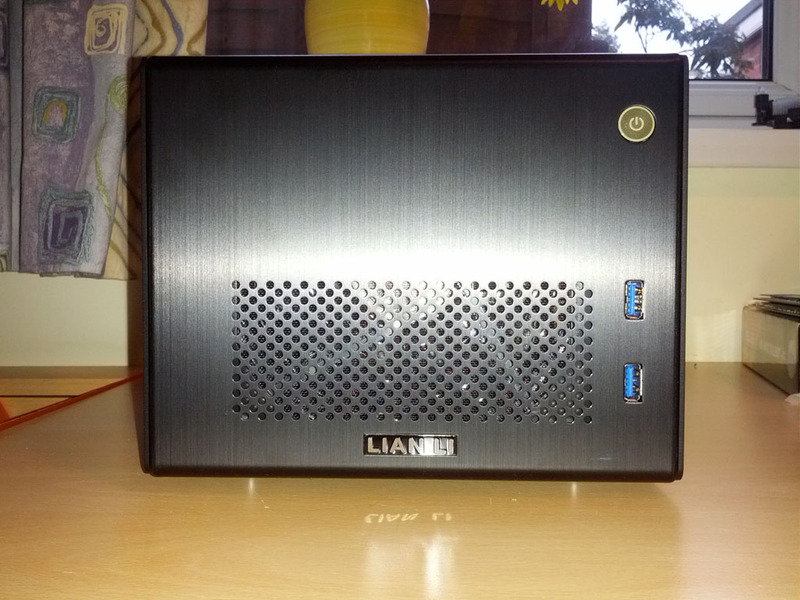 A VMware ESXI Low Power server for learning at home is something I have been interested in for a quite a while. Both VMware Esxi and Microsoft’s Hyper V Server is something i’ve kept randomly hearing about over the years, I recently did some reading up and decided a little VMware ESXI Low Power server dedicated to running virtual machines on my home network would be perfect. I’m always experimenting and trying new things in my free time. Usually when its been something totally new, for example a beta of Windows i’ve simply installed it on another hard drive and dual booted it. I personally don’t think that’s the most piratical thing in the world to do, I find that I end up booting back in to my main operating system, then staying in it. So this is where VMware Esxi or Microsoft’s Hyper V Server would be perfect, the idea is a little low powered pc can sit in a cupboard and run virtual machines, then be remotely accessed from any PC on my network. So with the idea in my head this is a project i wanted to do, i set about looking firstly at low power usage computers. Most of the thing i looked at were not really suitable, either been vastly underpowered in the case of Nettop PC’s or stupidly expensive in the case of the Mac Mini and shuttle barebone computers.So with that in mind i looked up on various forums what other people were using, in doing so it quickly became apparent that a Mini ITX based system was the way to go, you could get some pretty high end motherboards at reasonable prices. The main limitation here was that all the current Mini ITX motherboards had only 2x ram slots and supported a maximum of 16gb of ram. However thinking about it that would be more than enough for the virtual machines i wanted to run. I could easily have a Windows Server VM and some clients with ease, and probably host a couple of game servers for older games too. I liked the GA-Z77N-WIFI motherboard as it had dual Gigabit LAN network cards that were supported in ESXI. From what i’ve read ESXI can be very paticular when it comes to network and SATA controllers, so having a motherboard that was totally compatable out the box was great. The motherboard also got great reviews and appeared to perform well in power usages tests, this was important as i wanted a quite powerful machine that wouldnt excessivly waste evenrgy. The dual Ethernet ports were not essential, however gave me the option of running a virtual machine dedicated to running a router / firewall distribution which could be live on my home network. Great for experimenting at a later date! In regards to the processor I wanted a high performance processor, that would be power efficient. The Core i7-3770T was chosen as it was a 2.5ghz quad core processor that supported hyper-threading based on the latest Ivy Bridge architecture, however had a max TDP of 45W. This was classed as an ultra low power usage processor by Intel. The Core i5-3570T was considered however this was only 2.3ghz and lacked hyper-threading, so for the little price difference between the two i thought the Core I7 would be the better purchase. The Lian Li PC-Q16 Case was chosen because of its size and practicality, the case was (W) 199mm x (H) 160mm x (D) 290mm and in that you could house a Micro ATX motherboard, the PSU that came with the case and up to 4x 2.5″ hard drive or 1x 3.5″ hard drive and 3x 2.5″ hard drives. At this moment in time storage space was not really important to me. ESXI would run off a USB flash drive and a single 2.5″ 5400rpm sata hard drive would be used as the Virtual Machine data store. I dont plan on running anything that will be really disc intensive, however if that is the case i have planty of room for future expansion, and maybe even a couple of SSD’s at a later date. 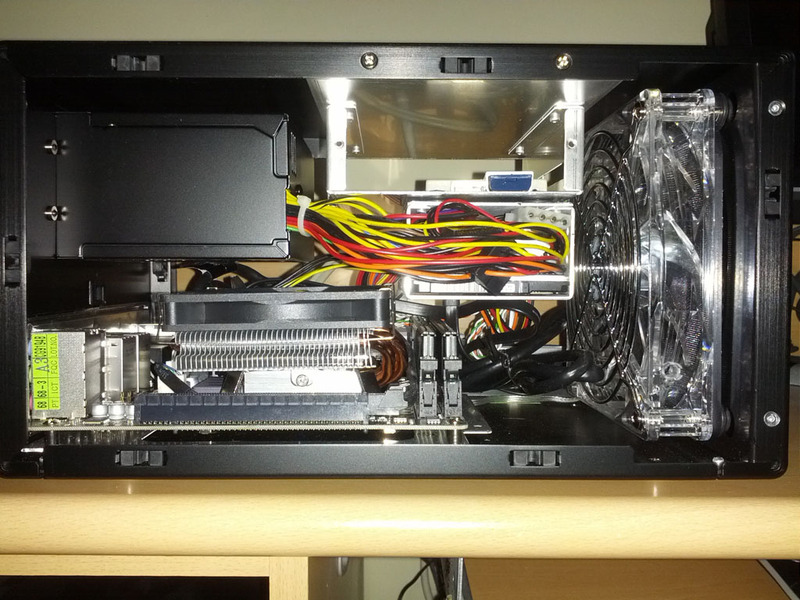 The CPU cooler was low profile, I had seen photos on the internet that it would just nicely fit in the Lian Li PC-Q16 Case. A plus i did like was how the fan could be moved up, down, left or right, which made life a lot easier when connecting the 4pin power connector to the motherboard. The Corsair Memory was chose because 2x sticks of 8GB DDR3 1600 MHz was the max the motherboard would take. Finally the USB converter to allow the internal USB header on motherboard to be wired to the cases front USB ports, for some reason these were designed to be connected to the USB3 ports at the back of the case, that seemed a waste to me as i now had 4x USB3 ports instead of two! Everything assembled fine with my VMware ESXI Low Power Server, and worked perfectly together. If the CPU cooler had been any larger it would not have fit in the case, it really was the perfect size. Below are some photos of the end result, and some screenshots showing that VM Ware Esxi works perfectly on the Gigabyte GA-Z77N-WIFI motherboard. Gigabyte GA-Z77N-WIFI Motherboard with the CPU, CPU cooler and memory attached ready to be placed in the case. End result view from the back side of the case, the front USB 3 ports on the case are wired in a way where there supposed to connect to two USB 3.0 ports on the back. However i thought that was a bit silly so got an adaptor allowing me to wire the front USB 3 ports to the internal header on the motherboard as you can see below. I also wanted to use the internal drive purely for storing the virtual machines, with that in mind i wanted an internal USB drive to install Vmware Esxi on. For this i used an old USB header to USB port adapter i’ve had in my box of random parts for years. I simply unscrewed the bracket and it would fit inside the case with ease, allowing me to use a flash drive as my boot drive for Esxi. The end result from the other side, i could add 2x more 2.5″ drives at a later date, plus one 3.5″ drive (or a 2.5 with a bracket). So the case has plenty of room for additional drives. despite its size. 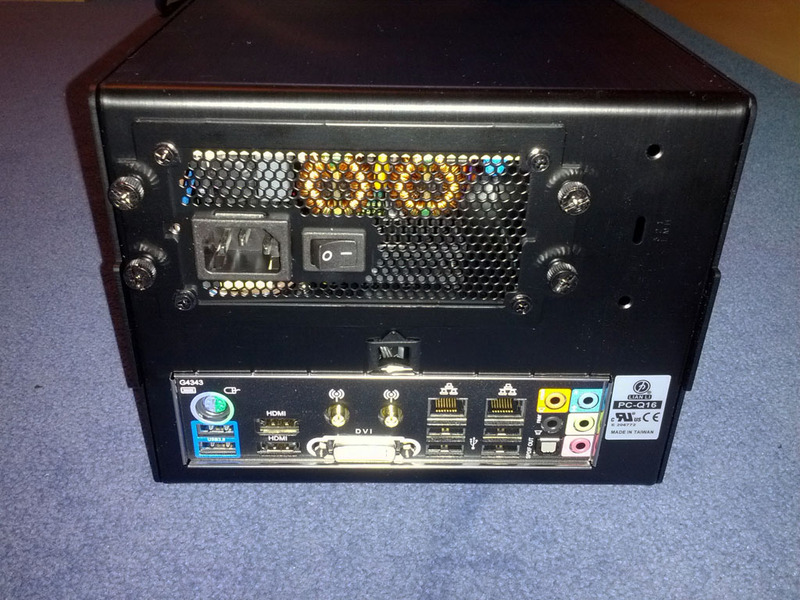 Back of the case – as you can see the motherboard has 2x ethernet ports, It even has Wi-Fi & Bluetooth, not that i ever think that will get used. I should have done a size comparison, however for what is in the case its small. As you can see VMware ESXI works perfectly, the SATA and Ethernet ports are picked up fine, these are two of the most common problems with Esxi i’ve read. Just install and it’s ready to go. The passthrough feature is also available, allowing me to dedicate real hardware to a particular virtual machine, e.g. a Ethernet adapter. So how much power does the Gigabyte GA-Z77N-WIFI with a Core i7 3770T Quad Core IvyBridge Processor? I found with 3 idle virtual machines 31.5w of power was consumed, about the same as if 0 virtual machines are running. ESXI reported 180mhz cpu usage and 7625mb of ram was in use when I took the idle power reading. With the 3x virtual machines under average load, just generally been used for copying files / installing software / browsing the web the power usage would vary from 35w to about 50w depending just what was been done. I then let a virtual machine encode video, this virtual machine had 4x cores running at 100% and used 58w in total. For a final test I had one virtual machine running with 8x cores, the most I could assign it. I than ran Prime 95 on the virtual machine. The power usage never exceeded 96w, it did randomly drop to 90w however never exceeded 96w in the 30 minutes I left prime 95 running. So its pretty safe to day I don’t think you will be exceeding 100w with my above setup, even under full load. I’m personally quite happy with the power usage, even under some pretty hevy load only 50-60w is going to be consumed. I think that’s pretty good as I have older PC’s that use significantly more which have much less processing power than this build. Ive had a few message about VT-d and pass though. I can confirm pass though works just fine. The on-board Wi-Fi can be passed though to a virtual machine, the virtual machine can then connect to a wireless network just fine. 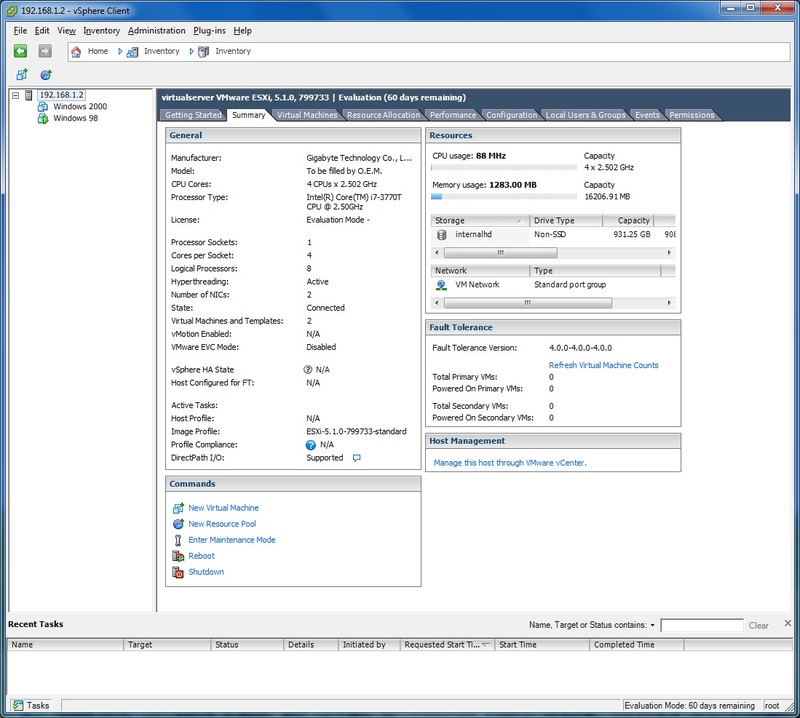 A screenshot showing the GA-Z77N-WIFI onboard Wifi enabled for passthrough on ESXI. 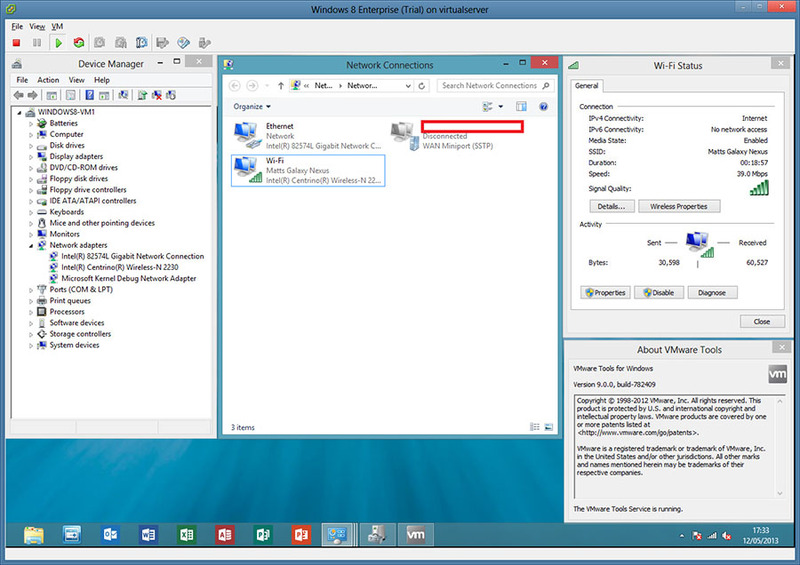 EXSI recognises the wireless network card as an unknown network controller, however when passed through to a Windows 8 Virtual Machine it’s supported natively and seen as an Intel Centrino Wireless N 2230 network card. Ive not passed anything else though to a virtual machine, however its safe to say the motherboard will handle it fine with a supported processor. Everything appears to be great with my VMware ESXI Low Power Server running on the Gigabyte GA-Z77N-WIFI motherboard, after trying out an old Windows 98 and Windows 2000 virtual machine I have installed Windows Server 2012 and Windows 8 in a virtual machine, performance appears to be great. The only thing to note is that i had to disable Intel VT-d when installing ESXI on the Gigabyte GA-Z77N-WIFI, otherwise the installer would just reboot. I could however re enable VT-d after the instillation had completed and ESXI would boot up with no problems, and the pass through feature appears to work great too. I’m pleased with the power usage, at 31.5w idle and around 40/50w when its getting a fair bit of use i personally don’t think its eating that much electric, however i guess that will depend on your opinion. Overall i’m very happy with the end result of the project and have found an ESXI test server to be a great asset. I have been looking for the very same functionality for my ESX build. Off to order the GA-Z77N-WIFI now !! Do let me know how you get on! other than having to disable VT-d for ESXI to install i had no problems. Once installed i could enable it again fine. I was just about to give up on trying to install ESXi on this board due to it going into a reboot loop when trying to install. I googled and found this site. Now, along with another box I have, I’ve got two ESXi boxes in my lab cluster so I can play HA and other such goodies! In this box I have a i3-2100T, it was originally going to become part of a storage server. I will use these two now and my eventually aim is to get high availability storage going on with two HP N40L microservers configured using FreeBSD and HAST+CARP. I should have eventually a fully HA setup including HA storage. Thanks again for this invaluable post! Thanks for writing this up, I was putting together a whitebox ESXi machine from an older post and realized they were using Sandy Bridge parts, but I wanted to switch it up and use the newer Ivy Bridge stuff. Chaos and several hours of reading through manuals for VT-d support followed. Turns out there just aren’t that many links out there for verified working Mini-ITX mobos with Ivy Bridge. Thanks for the great write up, I built an ESXI box based on the information you provided about the Gigabyte GA-Z77N-WIFI. After ESXI installed I enabled VT-d and VMDirectPath I/O pass-through worked perfectly. The Gigabyte GA-Z77N-WIFI appears to be a great base for an ESXI box, everything just works, cheers! Hi, I came here to look at power usage of this project, but see you have nothing really tested or displayed about the actual power usage of this system. Have you done any tests that you could share? That’s very true, I did look at reviews of the motherboard, processor and so on which had been power tested, however as you rightly say I’ve not done any of my own yet. I was wondering if you had any idea as to how much actual power consumption (Wattage) of this configuration when running a few virtual machines? I have a plug-in energy monitor in the post that should be arriving next week, i shall do some actual power tests next weekend and let you know. Thanks, I will look forward to finding out what the consumption is like with different workloads. I was curious to find out because I have also built a similar dual boot configuration but using the Shuttle SH67H3 with the older Sandy Bridge i7 2600 processor with 16GB. What I have done is fitted it with 1 x 3.5inch 1TB drive for my Windows 7/XP x64 dual boot which I use for running as a desktop with VMware Workstation. In addition I have fitted 3 x 2.5inch spare drives i had lying around (1x 500GB and 2 x 250GB) drives which I have installed with ESXi 5.1 which I use as native ESXi host for my lab. I would like to keep the host running during the daytime so I can access it remotely but i wasn’t sure how much power it was consuming so I have not done this. I am also hoping to get a power meter to measure the power consumption. I am interested, what was the final cost for the entire setup? I am also interested in your final power consumption measurements, please do both under load as well as unused. The final cost was about £550 at the time, i have linked to all the parts i purchased in the blog. As for power use, with 3x vm’s idle 31.5w is consumed. Normal use: 40w/50w (depending on the use) with the cpu totally maxed out 96w is consumed. Even with some pretty heavy use your only looking at around 65w been consumed. Ive added a bit about power use and passthrough to the original blog post. I cant really benchmark this against my HP Micro Server as its running a single operating system in a live environment. I honestly cant see this been a bad upgrade from the HP Micro Server however, the hardware is leagues ahead. Plus you could add a higher end i7 to this build if you really thought the low power i7 wouldn’t be enough. I just set up an ESX host with the motherboard you used, 16GB 1600CL10 Kingston ram, intel i5-3570, a corsair 128gb SSD, and an 8gb USB drive for the ESXi install. Had to enable Intel Virtualization in the BIOS and everything installed fine and starts up. When I try to start a VM even a fresh one the whole ESX server reboots itself. Any other BIOS settings that need to be changed? Nope I basically changed what I stated in the original blog post. Have you flashed the latest bios? That’s something i did as the bios that came with the motherboard was older than the latest on the Gigabyte website. I just built a VMware host based on your specs above. At first it was continually rebooting during the ESXi install but after flashing the BIOS ESXi installed perfectly. Handy for others to know! thanks for sharing your experience. No, thank you for putting this post together. It was really helpful for selecting lab components and it makes for a pretty great little box. did you think to use an AMD architecture for the server? Great post! Can this motherboard support RAID (if so what version)? Or can you add a hardware raid to it? It should support RAID 0, 1, 5 and 10. I’ve decided to use this build as a basic for my ESXi box. Same CPU same Mobo. But I’ll be running a freenas VM with an intel m1015 passed through. Will probably also run a vm with pfsense as my router. All inside a tiny Lian Li PC-q25b with 8 drives. I will report back with my results for anyone interested. I’ll be very interested to here how you get on, especially with passing the Intel m1015 though. I have been thinking of building my build in to a larger case later this summer. The plan is to replace my HP Pro Micro server and use the 5x 2TB drive i have in that with ESXI. It seems silly not to combine the two and allow my self extra room to eventually add more drives. Hi Shane, I want to do almost the same and I would be glad to hear about your efforts! The RocketRAID 2720SGL passed through just as i hoped it would do. This is really great and just the same what I want to do to let my old NL40 go to ESXi heaven(it’a too slow) I have got 3 VMs: one Firewall, one SSL VPN and a Fileserver with flexraid. It would be really nice to hear from you Matt! I fail to see how this is significantly cheaper than a shuttle barebone. I guess that depends where you live, in the UK the Shuttle Barebone prices are not cheap at all. 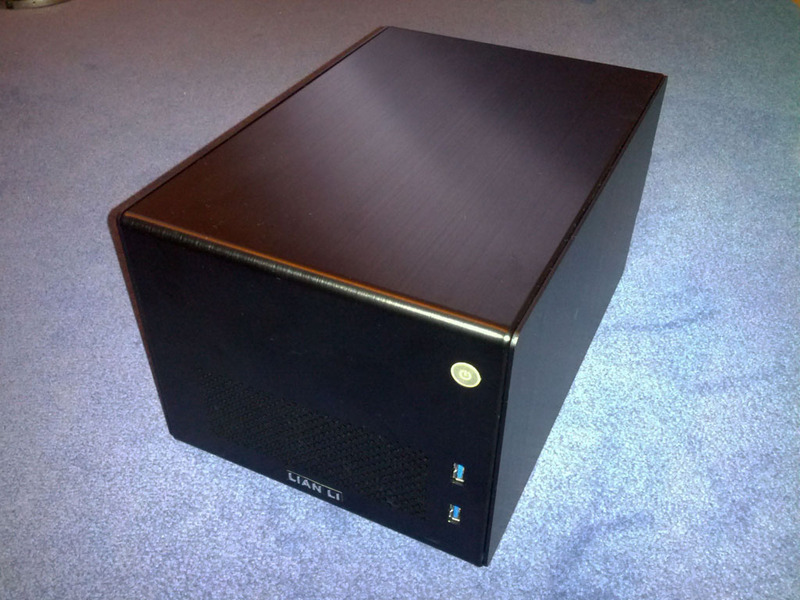 I worked it out been £150 more buying the Shuttle barebone I was looking at. All of the Shuttle barebones are based in the two and a half year old H61 / H67 chipsets from January / February 2011, where as my build is based on the Z77 chipset released in April 2012, nothing newer was available at the time. You did a great work on ESXi. I also built an ESXi machine at home. Here is my configuration. I use ESXi 5.1, and built one VM(Windows Server 2012). I also installed a plug-in enegy monitor to detect the power consumption. I found that the power consumption is high for my machine. 1. I used ESXi default power option( which should be balanced), and I didn’t boot any VMs in ESXi. The monitor showed the value 72w. 2. I switched the power option from Balaned to Low Performace in ESXi. The consumption dropped to 58w, but it was still high. I didn’t boot any VMs in the testing, so why did ESXi use so much power? Could you give any ideas on this issue? You purchased a faster / more power hungry processor than i did. The i7-3770s you used is 3.1 GHz and has a Max TDP of 65w, where as the i7-3770T i used is 2.5Ghz and has a Max TDP of 45w. I would imagine that is the reason for the difference in power usage. First at all, thanks for sharing your knowledge. I have searched the cpu you used on the compatible hardware list for vmware, but it is not there. how did you know that esxi would work good with that cpu? The processor supports Intel Virtualization Technology (VT-x) which is required for Esxi to function. The processor also support Intel Virtualization Technology for Directed I/O (VT-d) which allows Esxi to pass physical PCI hardware though to a virtual machine, for example a network card. Knowing that i didn’t see why reason why it would not work with Esxi, providing it was installed in a compatible motherboard. Excellent and very informative post, I’m a final year college student, and I have a FYP to start from next September on, I was thinking of building a proof of concept “virtual labs” for the college, would it be an idea to have a esxi hyper v, and host and have an openstack vm and whatever other vm’s I need on a single box, …I was thinking it might be a good idea, using your hardware list, but I dont really know, Im only researching into it atm, I dont think Id have enough clout to do it all in virtualbox on my laptop ! I think its a great idea to be honest, this is something i wished that i had done years ago now. I have found everything to be much more responsive than simply using virtual box on my PC (Core i5 @3.3 ghz, 8GB ram). My spec above is actually a lot better than my main PC and uses less power! I find it handy i can leave VM’s running on my network, allowing me to do other demanding tasks on my main PC. The only thing i would say about my build is you might want to add an SSD if money allows. I certainly notice VM’s take a while to boot / update, especially if you have a few running. However once booted there snappy just as a real machine would be. With SSD’s getting larger and cheaper all the time, that is a planned upgrade in the near future. For all the VM’s i have at the moment a nice 256gb one would do nicely. Hope that helps anyway, a virtual lab should be a great assest for anyone studying or interested in Computing. Did you use the onboard raid for anything? If so, did ESXi recognize the built-in software raid? Trying to determine if I would need to purchase a hardware raid card to fully support hdd mirroring (raid 1). That’s not something I’ve used so unfortunately couldn’t say. Do let me know if you try it and what results you have. In my case i had to disable “Limit CPUID Maximum” in BIOS. After that, installation works perfectly. 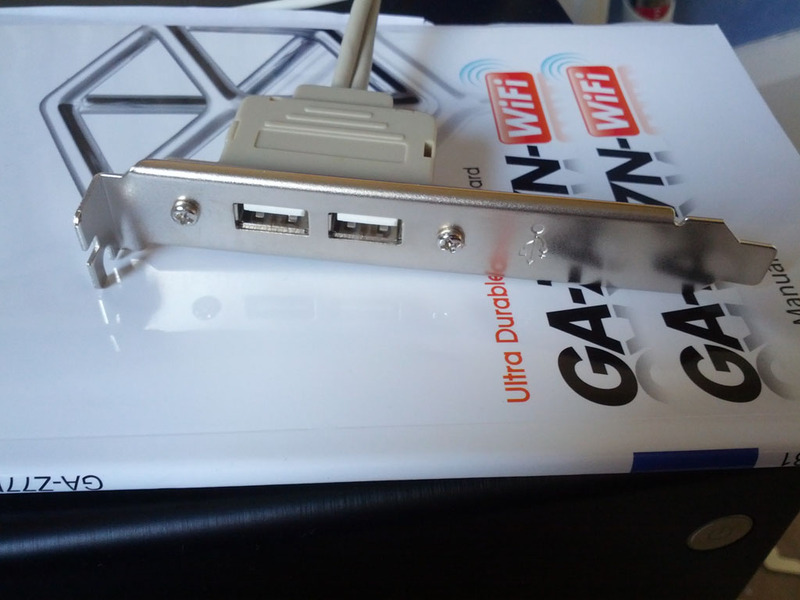 Mainboard: GA-Z77N-WIFI, bios version “F2”. Dont have VT-d processor (i5-2500 K! ), so i dont have VT-d item in BIOS. BTW, thanx for information that Realtek 8111 LAN is working in ESX5.1. VMware site is silent about Realtek NICs. Today i will do some speed tests of those NICs. I have the same motherboard, running ESXi 5 on it and was trying to figure how to force VMWare to see usb 3.0 controller (as it comes combined with usb 2.0 in a way). All i that i was able to get for passthrough is 2 usb 2.0 controller (one of witch is actualy a usb 3.0 controller in usb 2.0 mode, as far as I understand it). Would realy use a bit of advice, thanks. That’s not something I have any experience with. I know people have passed a cheap pci usb3 card through with no problems however. I’ll have to have a look and see if its something that will pass through on my build. What did you use for the internal installation disk? What was the size and where did you set your scratch partiion? If that’s possible its not something i know how to do unfortunately. How is that possible? The chip set specification say that Z77 don’t support VT-d, see the link. Some motherboards support VT-d as you can see above, not all do however. Thanks for the tip, strange how drivers were removed that work perfectly fine. Ensure that there is at least one network adapter physically connected to the system before attempting installation. If the problem persist, consult the VMware Knowledge Base. I did disable vt-d, and made sure a network cable is plugged in (solid green and yellow blinking), tried both onboard lan controllers. Lars Urban posted a great tutorial on how to integrate them in the link in the post above yours. I wonder if you install 5.1 first and then try an upgrade to 5.5???? Hello Matt, Thanks for an excellent and informative article. I was looking for some advice. If I was to consider a full size board alternative to micro ITX using the same processor, VT-d, supported dual nics, hopefully similar power characteristics and USB pass through would this be a good alternative option – GA-Z77X-UD5H? Hi, the GA-Z77X-UD5H uses the Marvell 88SE9172 SATA chipset which does not work with Esxi by all accounts, however the Intel Z77 SATA controller should work with ESXi. Something else to note is the GA-Z77X-UD5H has different Ethernet controllers, an Intel Gigabit and an Atheros Gigabit controller. Apparently the Intel Ethernet controller will work if you add a driver in to the ISO, however the Atheros is pretty much useless. The board supports VT-d so combined with a compatible processor you should be able to run ESXi, it’s more of a question of how much of the on-board hardware will work. The dual nics is defiantly a no go though. Curious as to why you want a full size motherboard? With the Gigabyte GA-Z77N-WIFI you could add a an expansion card in the PCI-E slot, such as a raid controller if you wish to have a lot of drives (I have recently done this). You also have dual Ethernet on board too, along with Wi-Fi that works passed though to a VM. So if you wanted to run a Pfsense VM or something you should be pretty much set. Hi, thanks for getting back to me. I was considering a full size board just because I don’t need a small one really. 🙂 I figure I would probably get a mid sized case. In addition like you say i’m probably looking at some extra disks and also another duel NIC, In which case the extra expansion slots might come in handy. Finally there is the amount of RAM i can jam in there also. I was looking for a little bit of improvement on 16GB. Probably 32GB. Some pretty good reasons! I never really thought of 16gb of ram been limiting given my own usage. However I can see 32gb of ram been a great in terms of future proofing your build. Ideally it would be nice to have the option of adding more ram, however I guess that’s the trade off with going for a small build. I have just got a really nice 8 bay itx case for my build, along with a raid card, so my ESXi build is more of an ESXi nas now. Good luck with planning your “big brother” build to my mini ESXi build, do let me know what you end up going with, I would be interested in hearing what your final setup is like. – has someone tried it later on with gen4 proc? – anyway does it worth the higher investment? Does anyone have experience with that case? What motherboard / CPU used? Did somebody have a modified EASXI 5.5 version? Whats the purpose of choosing a CPU with hyperthreading? From what i’ve read it’s utterly useless in a VM environment. Cores matter more and the one thing recent AMD chips shine at is virtualization. Why not pickup an 8 core chip and use that as the basis. I think you have missed the point of this blog, it’s about a low power ESXi buid, not a high end, high power build. Hyperthreading had nothing to do with my CPU choice. However if i ever used the processor for something else it will certainly come in handy for video encoding. Your looking at a TDP of 95w to 220w for the higher end 8 core AMD Piledriver processors, not exactly power friendly under load! The 4x cores is enough for anything I’ll ever need at home and then some. I have the same build in a Bitfenix Prodigy and a IBM 1015 SAS. I’m using ESXi 5.5 customized with the needed drivers. I’m experiencing slow NFS performance. I use the Napp-it all-in-one solution which resides on a SSD. The other VM’s reside on the NFS share. I tested again with ESXi 5.5 U1 and all seems to be working now. Happy that I didn’t give up on this low power build. I have decided to upgrade the specs mentioned by you with the following. it will cost in total 720 Euros. Thanks for sharing your experiences and ideas. I was thinking on building a similar box. I think the mainboard and the processor are very good choices. But, besides the low consumption, I am looking for a very silent box. I can see you have chosen a low profile cooler for the proc, and you are using the default power supply that is included with the case. Could you tell us how noisy it is? If you had the chance to change something, would you do it? Maybe a different PSU, or a quieter cooler? Do you, or any of your followers know any very silent and small cpu cooler suitable for this purpose? I used the PSU that came with the case, you will not fit a normal ATX PSU in there so you might have a bit of trouble finding anther other. It’s not silent, however was very quiet when not under load. 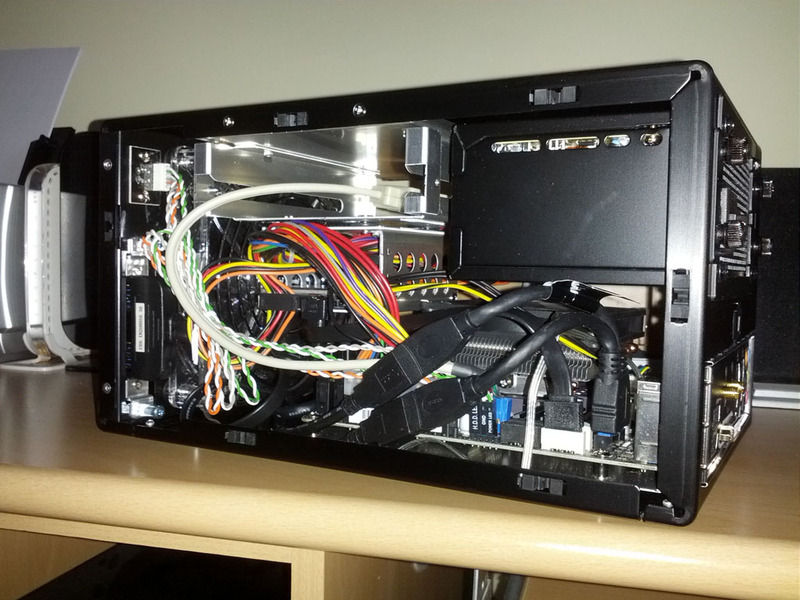 I have since combined my HP Pro Micro server which was essentially a NAS / Home server with my ESXI server in to a U-Nas NSC-800 case, which is essentially a Nas case with 8x 3.5″ drive bays. I was thinking on trying to build a totally silent box. I found some people talking about Streacom fs8 evo and HDPlex H1S boxes. They use passive cooling. As our processor only uses 45W, it seems to be possible to mantain a good temperature inside it. At least in my case, I will not use a dedicated graphic card, nor any other device (maybe in the future another nic, but I think it won’t spend too much power). As I saw in some people’s blog, this motherboard’s consumption is low (30 – 40 Watt in normal use), but it increases a lot when all the resources are being used intensively (100 Watt). As I think you do, I will use this box with ESXI, and several virtual machines for learning and testing different OS, and some varied technologies, but nothing intensive (I know they will spend a lot of ram, but just a few processor resources). 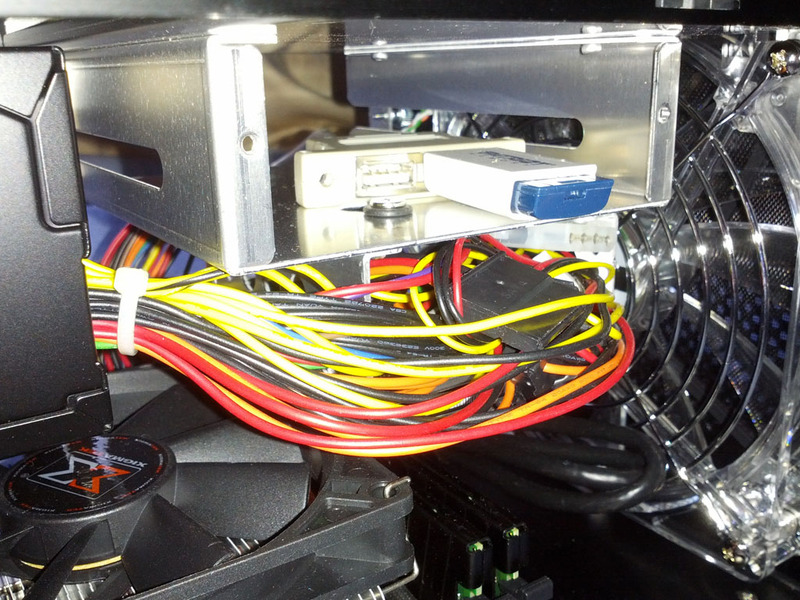 And, in order to do it totally silent, I was thinking on using a PICO PSU. This last is what I’m trying to calculate right now. As I can see, there are a lot of people who says that it won’t be powerfull enough for such machine. Usually PICO PSUs can provide 120 – 160 Watt, if using a good brick. In the worst of the cases, if we add the 45 Watt from the CPU, to the 100 Watt from a really stressed mainboard, it would spend 145 Watt, so I think it is enough for my purposes. Power Supply: Some pico psu (maybe 160 Watt -200 Watt) and a good brick. Will the box be enough to cool all the components? Will a 160 – 200 Watt Psu provide enough power to all the system? I would like you and your followers to advise me. If you can get a good PSU that will provide 160-200w then i think you should be ok as i honestly could not get my system to draw more than 100w. I would want a bit of room “just to be safe” though, so would go for a 160 minimum if possible just to be safe. As I’m going to use several virtual machines at the same time, I will need a lot of ram. I think 16GB will be more than enough, but maybe 8GB will not. Ram memory is quite expensive these days, and I have already spent all the money I could save to build this project (maybe next months). So by now, I will use both two 8GB 1333 modules I already had in HP Microserver N54L for the new project, and I will put a 8GB module to HP. Maybe in the future I will improve hardware, but I think It will be more than enough right now. I have already purchased the mainboard (second hand in Ebay) and the processor. I think they will arrive this week. But I need to wait a few days in order to purchase PSU and case. Anyway, I will keep you updated with any news. Ah no problems, i was under the impression you were buying new! Long time since I came arround here. I finally built the entire box. Same mainboard and proc as you, using 16GB of ram memory, a 500GB ssd hard drive (and a second and normal one just for storing services), a picopsu power supply (160W), and a hdplex passive cooling box. The result is amazing. A very powerful machine, with a very low consumption, and no sound at all. If you try to listen to any sound, you will have to open the box and put your ear inside it, just to hear a very tiny mechanic hard disc sound (the second one I put). If you only put a ssd har drive, you will not be able to realize that there is a turned on computer arround you. I have several virtual machines working at the same time (6 or more at this moment). The temperarure is more than acceptable (I cant remember the exact number, but proc is more than save). Consumption is really good, and performance too. If you have enought money to spend in that lab, I recomend it to you. No sound at all, very small, good performance and very low consumption. Hello ! Great post !! Do you find a solution for lack of wake on lan on this motherboard ? Or, maybe, they update their Bios adding this function !? I believe the latest Bios has an option for Wake On Lan, i couldn’t tell you if it works though as all i have done is run VmWare ESXi 24/7 since building the machine. You’re using the Atheros network card? 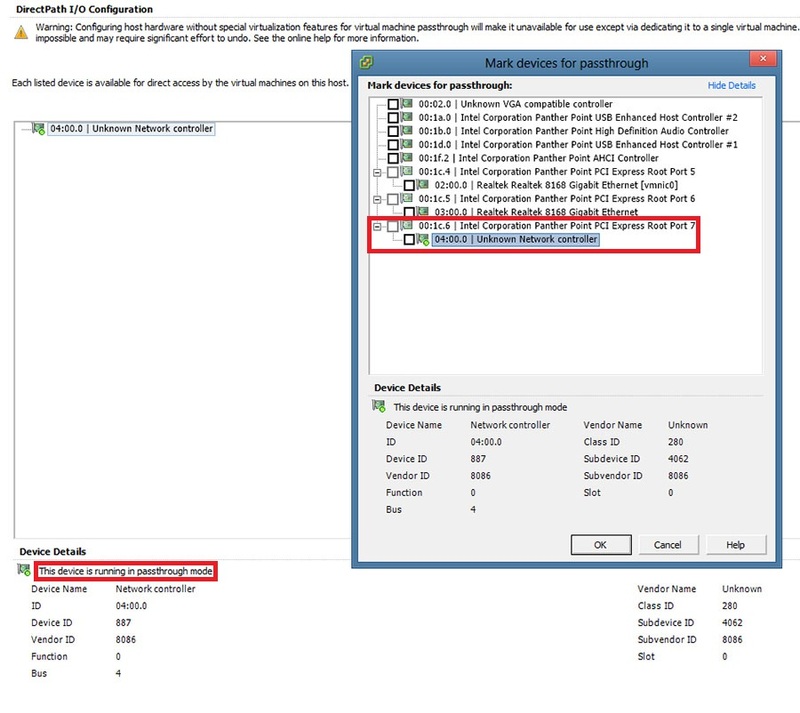 Or Esxi not detect the NIC? Trying to set up 5.5. I’m getting the “NIC not found” error, but I’ve slipstreamed the realtek .vib files into a 5.5 custom iso. Obviously I’m missing something – can anyone tell me exactly which .vib you used that was successful? Just built server as spec’ed with the exception of the CPU, where I used a i7-3770 which uses slightly more power, but I wanted the extra grunt if needed, which was more important than power to me. All works fine. Had the problem with ESXi V5.5 and the NIC, so used ESXi V5.1 at the moment for testing. My question is that I hoped to use the two 1Tb SATA disks in a mirror, but when I set them as RAID in the BIOS, the ESXi installer still sees them as individual disks. Any ideas? I think there is no way for you to use motherboard raid. You will need an esxi compatible raid adapter un order to recognize it. So with your config, the graphic port of the motherboard : does it was only use for the ESXi system … OR we can run a VM and have the display working via a passthrouh ? Like have a xpenology on 1 vm and a second VM as a windows and perhaps alternate between them.. Don’t know if it’s possible. I imagine you could pass the on-board graphics through to a VM, Esxi will certainly let you enable it for pass through, however i dont know if this will cause any issues or not. I know people have done it so i cant see why not. The problem is that the esxi doesn’t receive an IP Address. Entering a static ip and pinging the ip from my desktop results in random pong from the esxi. 99.9% timeout. ESXI 5.1 had drivers that worked perfectly, however lots of working drivers were removed in 5.5, including the Realtek R8168 Driver you require for this build. Yes, i integrated the drivers in the 5.5 version. With all versions i get only discover and offer messages. BUT: If i install Windows Server 2012 R2 directly on the machine, everything works fine. I think i will install a addOn PCIe Lan-Card. I had the same issue. I think it is related with the rev version of the network card. I’m sorry for not being more concrete. Still the same problem, the nics are recognised by esxi, drivers installed, both nics are up but still no ping, firewall ist disabled, lots of network hardware tested… nothing. After almost a week of tweaking and working with the stuff i decided to buy an intel dual-nic card. Very frustrating, especially when you consider that sometimes a ping gets through … one in 1000 or so. Arne. I want to help you, but my memory is really bad. I cannot remember the exactly way I used in order to resolve it. If you want, you can let me know the exact revision of the motherboard (I assume it is the same model), and I will check mine. If it matches, I can put my iso file somewhere and you can download it. That is the only way I think you can check if your problem is the same as I had. then, you can extract the drivers and make your own iso, or you can use mine instead. I think that buying a new card is wasting your money and capabilities of the motherboard. Its the Revision 1.0, maybe your ISO will work. Great. It seems you are going to be lucky. Mine is 1.0 too. I think that the second is the original one, so I assume it will not work, as you have already tested it. I’m not sure which one of the other two is the correct one for our needs. As now I’m at home, and I’m connecting to internet through a mobile connection, you can try to download that file and try. In the case that it doesn’t work, tomorrow I can bring the other file with me to my job, and upload it for you. Please let me know if that “public” file worked to you. If not, the last cartridge we can use is to upload my other file. Either way, the intel card arrived this morning and it works fine. If you are still interested, I will share the address so that you can download it and try it. I think it’s a shame to loose a dual-nic just because of some drivers. Once uploaded, I will share the link here, just in case some other person have the same issue. If you finally test it, and it works, please, let me know. Arne, which Intel card did you use as I am looking to add another card to my rig. Hi Matt this is an amazing article, love server builds. I’m building a freeNas box over an Avoton C2550 Supermicro mobo with 16gb RAM ECC, I just have one HDD now but I plan to get some WD reds later, it works awesome. Though my initial plan was to have an ESXI box (using the free license now given by VMWare), there could be some limitations with this SOC and also FreeNas in a VM is being discouraged, so I figured I could instead build two boxes: this one for freeNas (Elite master 110 case on its way!) and another with ESXI. So your article is worth gold; my only gripe is that I want a mini ITX build.. and I’m a little concerned about the Realtek nic on 5.5. I’ll investigate a little more and keep you updated on my final choice! I have been running my 5.5 for almost a year with no problems what so ever, do keep me updated, its always interesting to see what others are doing! It seems the power usage is quite high. Alright, I used a G3240(54W TDP) to replace the Xeon 1220V3 and idle at 80W without any VM on. G3240 with B85 + 4G RAM + 1 SSD + WIN7, only use 25-30W idle. Xeon 1220V3 with B85 + 4G RAM + 1 SSD cannot boot, nothing on the screen, no alarm and the power meter shows 55W. I’m quite confused why/how the my server requires 85W…Any idea? Your motherboard and processor are the likely culprits. You also have 2x 3.5″ hard drives which will draw more power than a 2.5″ drive or SSD, plus you have various PCI devices which will all add to the power usage when idle. 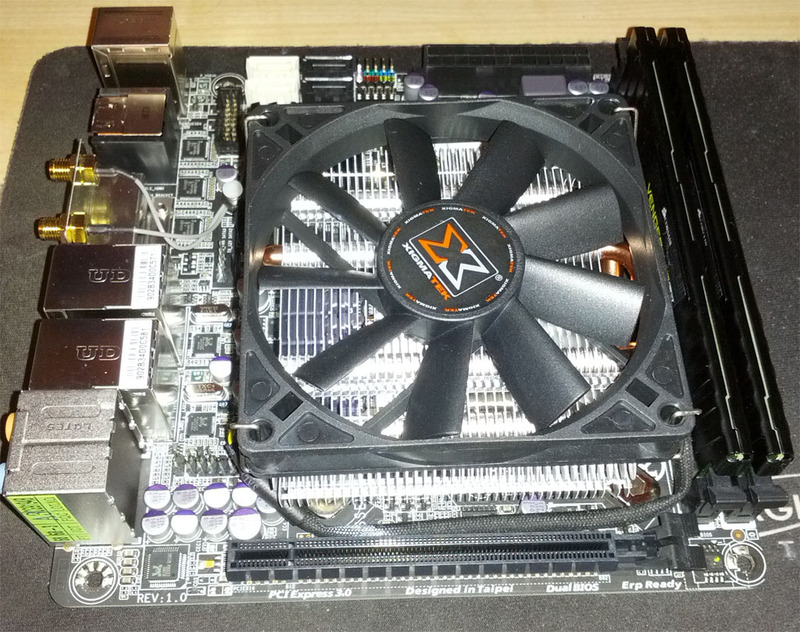 Power usage can vary a lot between chipsets used on motherboards. The GA-Z77N-WIFI i used is very efficient when it comes to power usage. Your processor is also geared towards performance rather than power efficiency like the i7 3770T. Hi Matt, I previously posted about a 32GB system. Sorry for the long time reply but here is what I’m thinking. Initially I’m going with Hyper-V but perhaps later ESXi too. So I’m going with a bigger case, a motherboard that appears to be rock solid (Q-Series) from a whitebox perspective other that some potential fiddly business with the second on-board nic. Going with the 3770S, so slightly more power hungry that the T. Also not mentioned anything about disks but will probably go with 2x3TB SATA and a couple of 256 SSD’s. Hoping the 400W supply will be more than adequate? Anyhow here is the spec for the bigger brother approach, was hoping you might let me know what you think? has anyone seen a board that esxi can read the temps on? I have a Shuttle Sz77 and ->Configuration->Health Status does not show any temps. 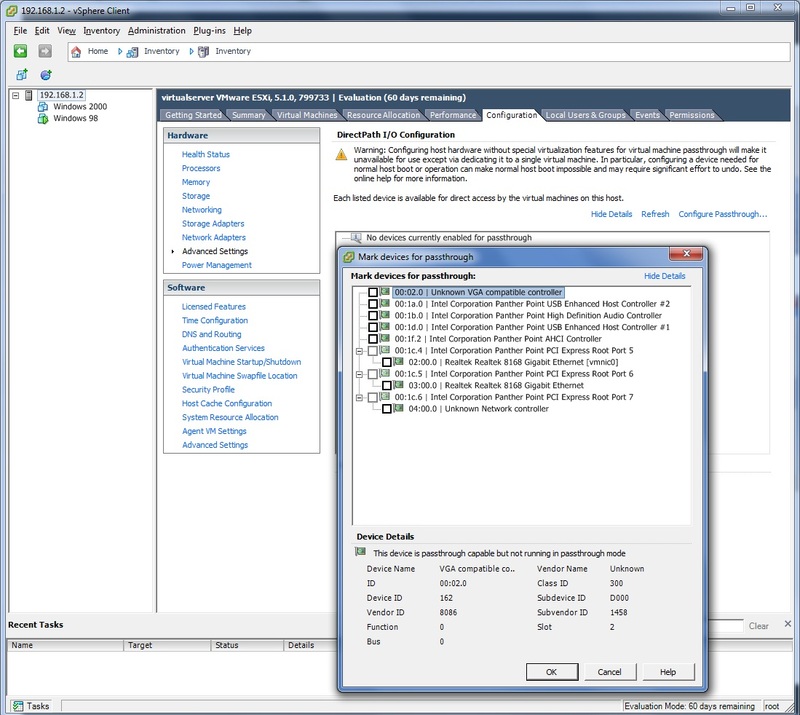 Visit the ESXi comparability list here: https://www.vmware.com/resources/compatibility/search.php and select the system type as motherboard, any boards displayed there are officially supported, so the temperature should in theory display.